It felt like just yesterday that I was frolicking through the cherry blossoms with these two beautiful humans for their maternity session. And now here they are...a family of 3 after the addition of sweet baby Hudson. 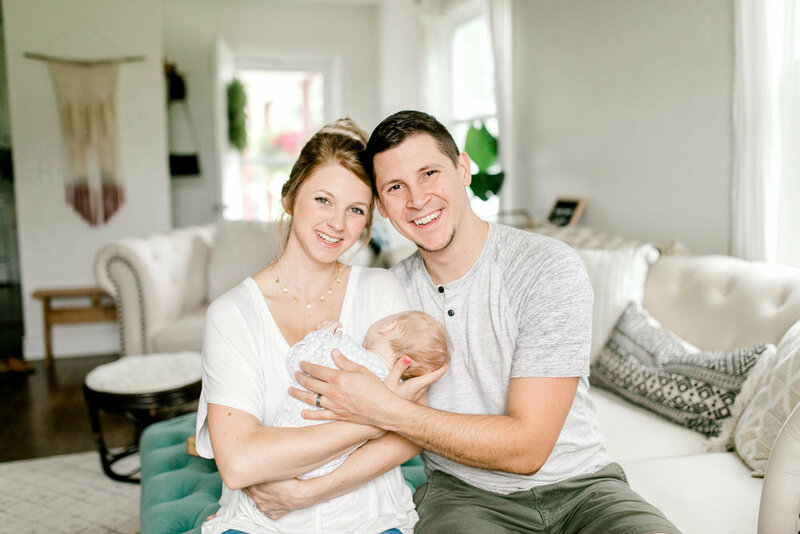 He was nearing 8 weeks the day I drove to Climax, Michigan for their in-home newborn lifestyle session. A cute little bundle all swaddled up soundly in his crib. 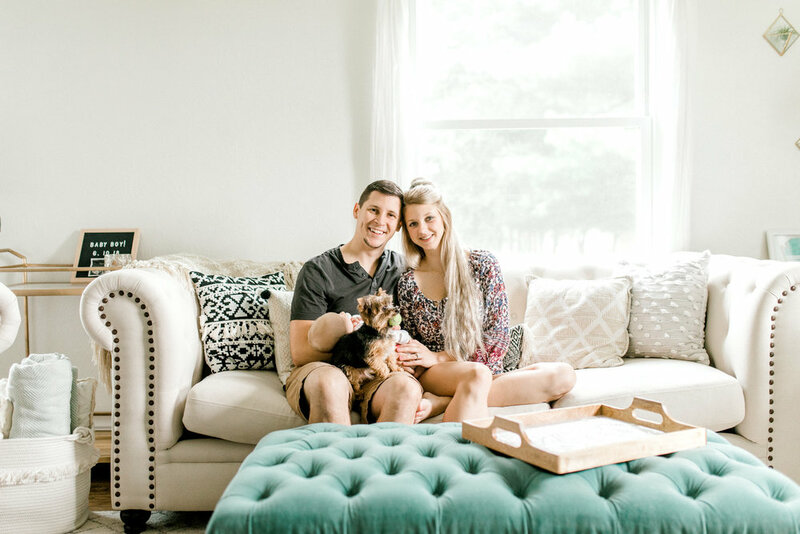 Jaky is a photographer, and I already knew she had great taste, but seeing her perfect Magnolia inspired home gave me all the giddy photographer feels. Just when I thought things couldn't get any better, I spotted their gorgeous garden full of luscious blooms out back. Jaky was game for grabbing a few among the flowers, and she didn't have to twist my arm! These sessions are so special to me. Being invited into someone's home after the much anticipated arrival of new life. 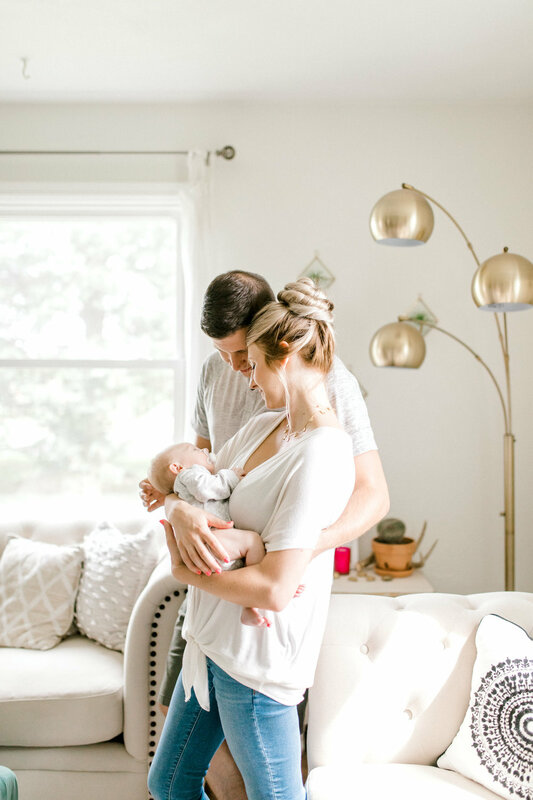 Getting to capture all the feels and emotions that come along with having a newborn. I loved every moment of my time spent with the Replogles yet again!